"Easter" (2017) by Christen Yates. 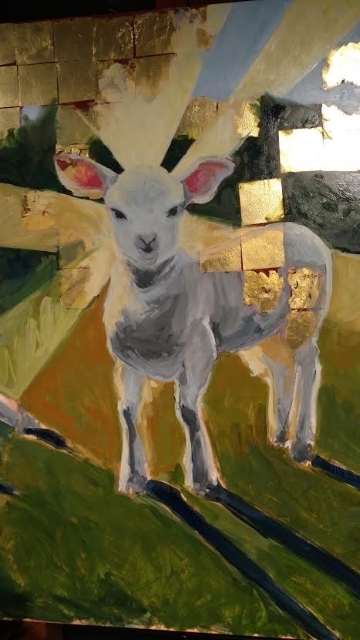 The above piece was commissioned for All Souls Charlottesville by the artist Christen Yates. It featured as part of a faith-community arts showcase during the Easter season. Below, I interact with the painting.